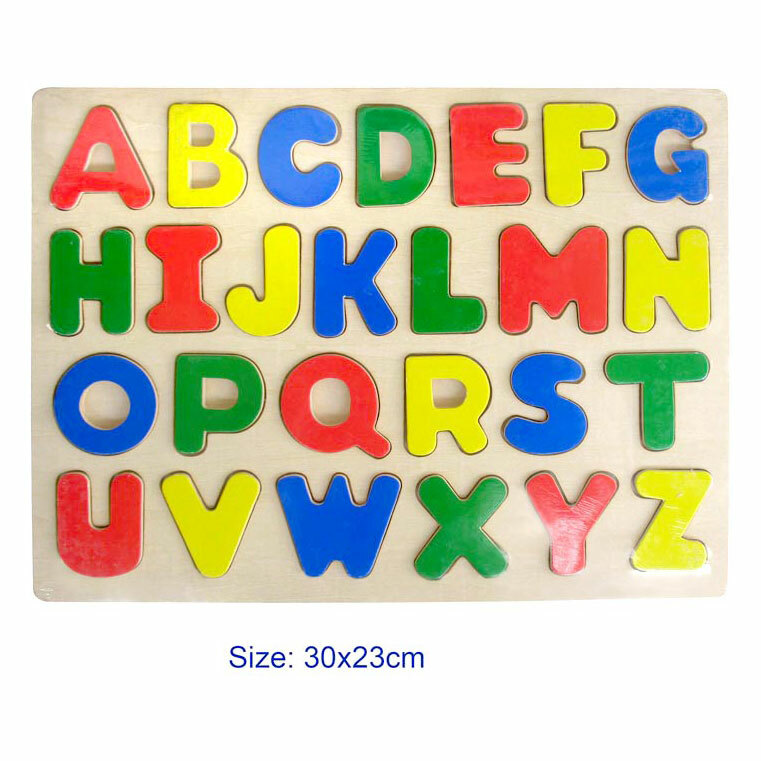 Children love this colourful wooden puzzle featuring all the letters of the alphabet. The large raised letters are easy for little hands to grip. They'll love playing with the letters themselves, putting together first words such as HI, GO & NO, as well as working on solving the puzzle!